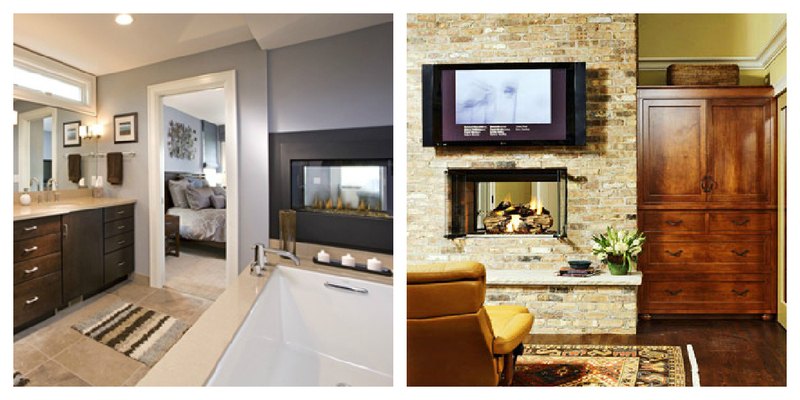 Today on the blog we get insider tips on trends in interior design. We sat down with Kayla Vig, Allied member ASID, and interior designer at Gunkelmans Interior Design to get tips on what is trending in design. I can’t speak for other designers, but I tend not to take trends too seriously. As a designer, I want pieces that are timeless and classic. 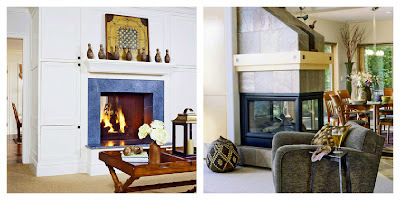 I will add layers of trends with color, pattern and texture. Trends are always changing so make sure your trends can easily change with time. 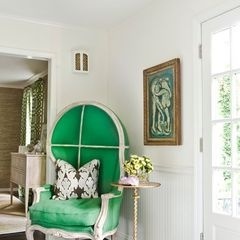 Pantone 17-5641 Emerald. 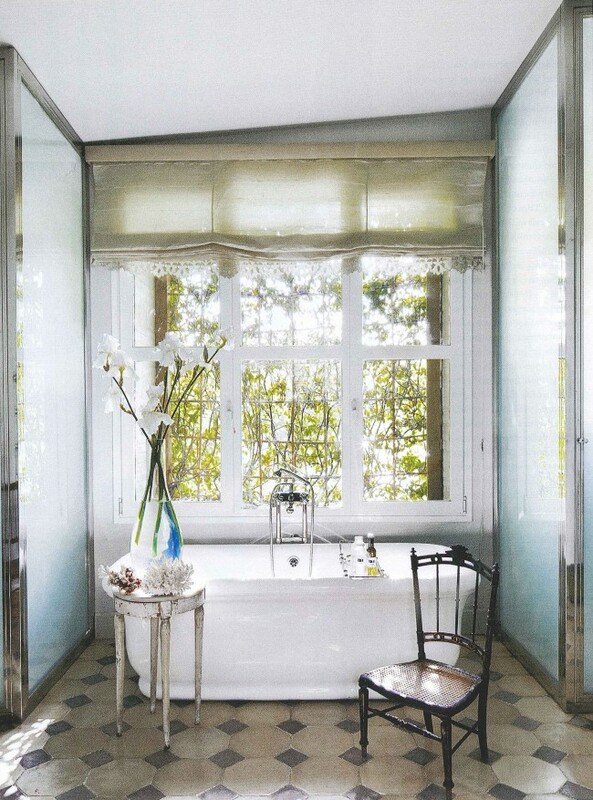 You will see this not only in homes but also on the runway. A great way to find inspiration when selecting colors is in nature. Take the inspiration and palette below for example. Don’t be afraid to mix colors, Don’t be a one color wonder! 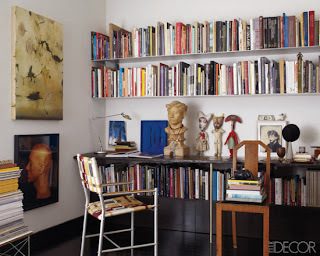 Sculptures: Sometimes with a bowl or vase, you feel as if you have to put something in it. A sculpture can be interesting, beautiful and simple. 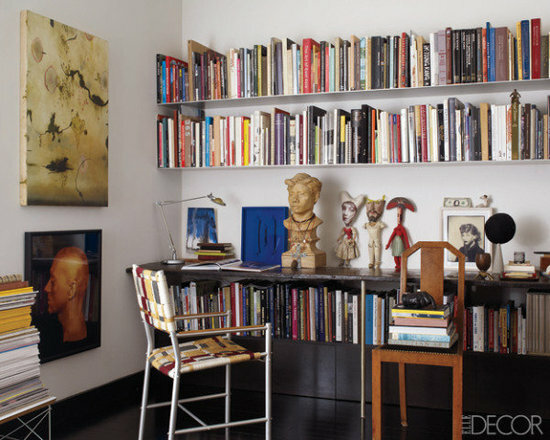 Books: The simplest and inexpensive way to add color, texture and pattern to a space. Don’t forget the greenery! 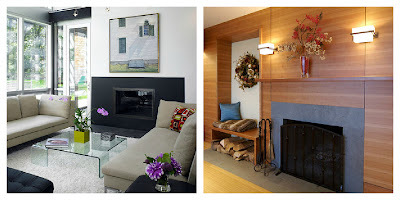 Not only does greenery add color to a space, it also adds life. 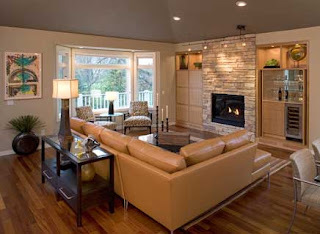 Multi-function furniture, it has many uses and saves space. Furniture such as an ottoman or bed with self storage. Recycle, re-purpose and reuse! 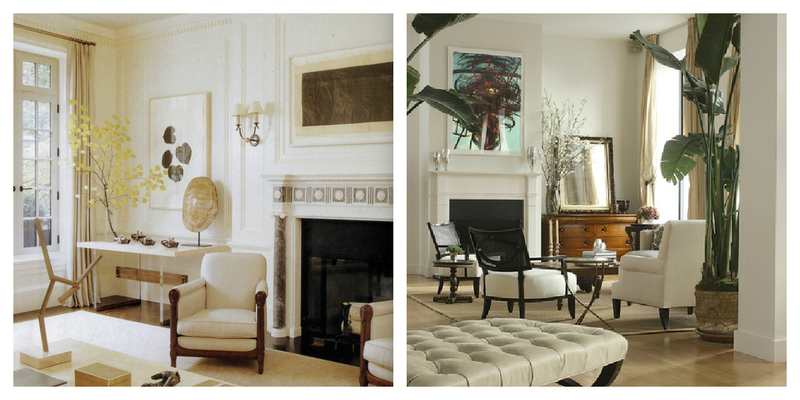 Antiques, classics or family heirlooms given new life with re- upholster or refinishing. Thanks Kayla for the excellent tips, what is your favorite trend? We spoke with Brenda of Creative Lighting in St. Paul regarding what trends she is seeing in lighting selections. 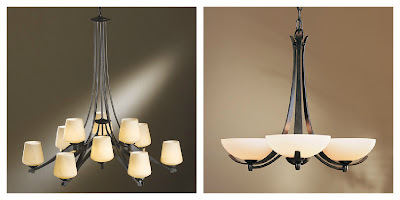 Creative Lighting has been one of the go to lighting showrooms in St. Paul since the 1920’s. 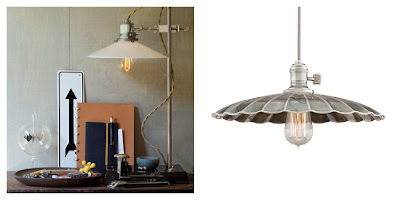 The Edison style bulbs are showing up everywhere. They are a throwback to tradition but very simple and offer a unique look, see more examples of this type of bulb here. 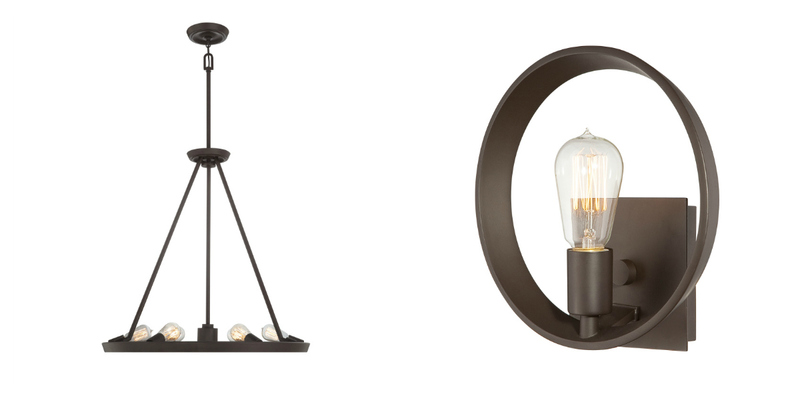 Hubbardton forge is an example of a very popular line that is hand forged in Vermont. 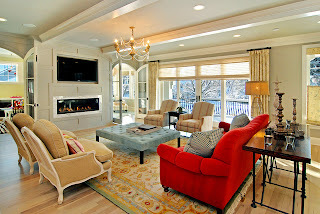 It is a little more high end but people appreciate the hand craftsmanship. The fixture on the upper right is one of Hubbardton Forges’ best selling pieces. They create a variety of different styles of lighting as well as mirrors. 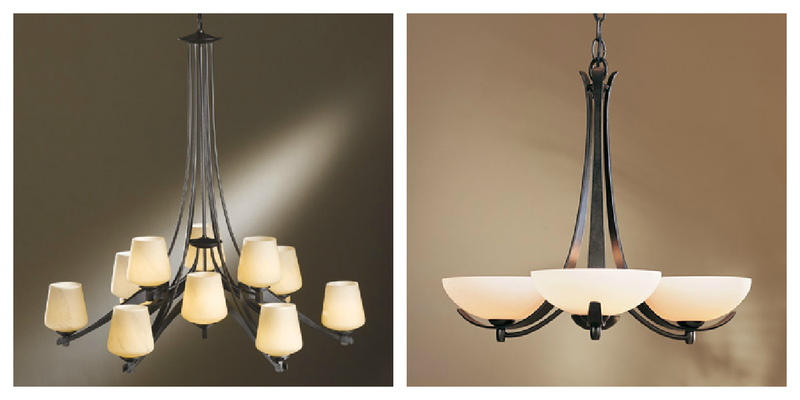 Below are some additional examples of chandeliers by Hubbardton Forge. 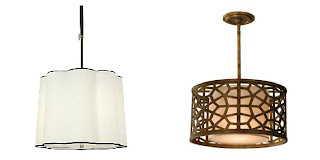 We are seeing drum shades, and antique brass in dining rooms. 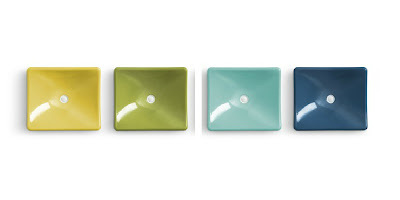 Colored glass is still very popular, it is being specified a lot for kitchen pendants. Thank you Brenda for the wonderful input! Appliances in Color – Dare to be different! Appliances are craving color! We spoke with Monique of MJ’s Appliance and here is what she had to share regarding this colorful trend! 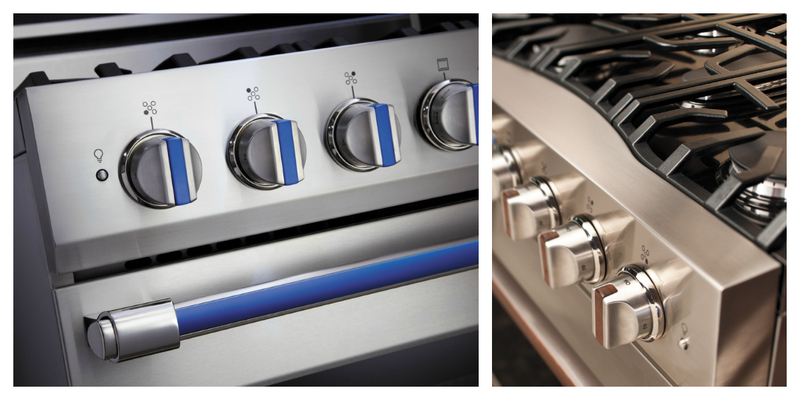 Stainless is still the most popular appliance finish, but color is getting some attention. Blue Star ranges are gaining market share for their simplistic design, high 22,000 BTU burner output and color. 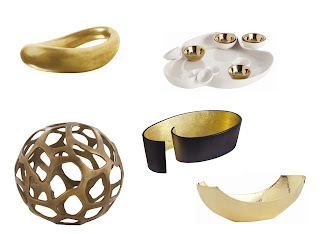 With over a 190 color choices and a precious metals collection you may be awe struck by all the options available. 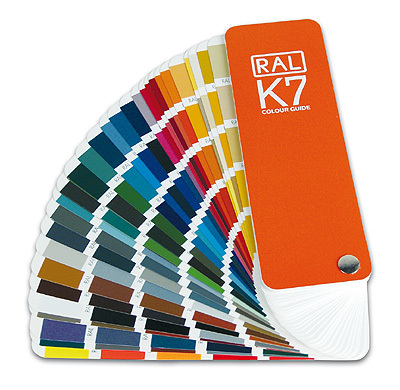 Your color options will range from subtle to electric, a nice neutral tan or neon yellow, color chart below. At MJ’s, we have had clients match their ranges to their favorite baseball team, “Go Twins” blue with red knobs, another in a beautiful robin’s egg blue, one in Harley Davidson orange and more in various shades of red. Are you nervous about the forever vows of marriage to a color? No worries! You get a prenuptial agreement with this range. The colored panels can be removed and you can have them refinished by your local body shop or order new ones direct from Blue Star. Blue Star is not spinning solo on the color wheel. 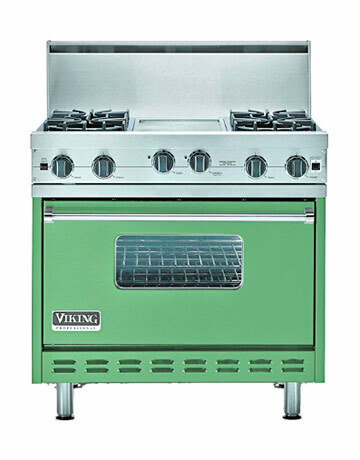 Viking Range Corp also has their 24 shades of fun! They offer culinary inspired colors such as Wasabi, Dijon, Cinnamon, Chocolate and Pumpkin, to name a few. If you are not ready to dive head first into a pool of color but may want just a splash of it, the Viking D3 collection could be just for you. D3 allows you to add color or wood accents to your appliance knobs and handles. 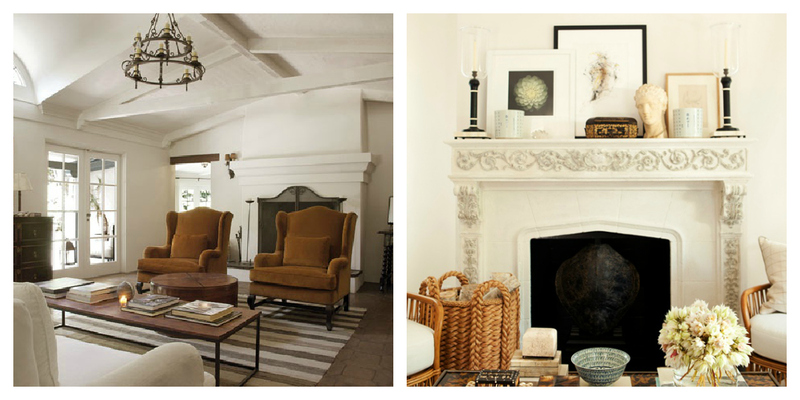 Are you daring enough to follow this trend? /wp-content/uploads/2018/01/Purcell-Final-Logo-300x86-3-300x86.png 0 0 Purcell Quality /wp-content/uploads/2018/01/Purcell-Final-Logo-300x86-3-300x86.png Purcell Quality2012-08-06 12:00:002012-08-06 12:00:00Appliances in Color - Dare to be different! 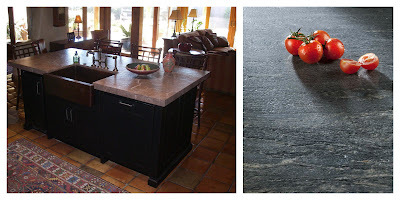 We spoke two local stone distributors regarding which trends they are seeing in countertop selections and specifications lately. 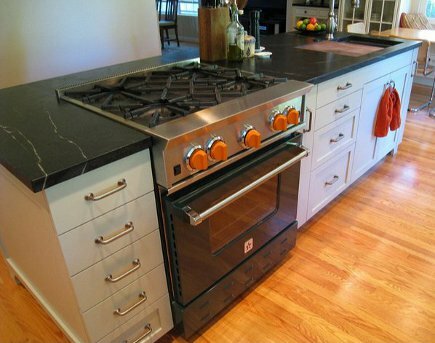 The most recent trends in stone counter tops are quite varied. 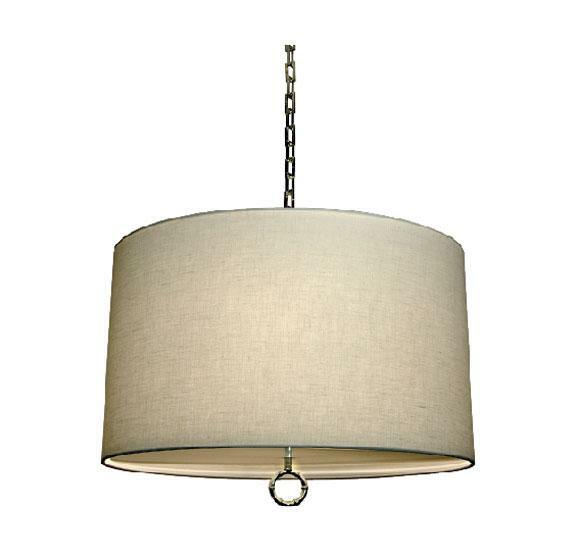 A honed finish offers a matte look, that has more of a dull appearance and is non-reflective in nature. It is also fairly popular, but the honing process does make the material more susceptible to staining and scratching. A satin finish is somewhat similar to a honed finish, but offers a smooth, softer look with a vibrant, non-reflective finish. 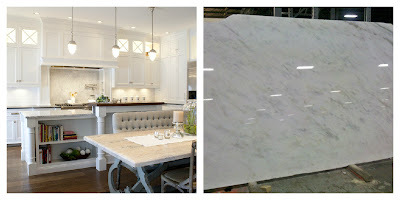 Vermont Danby White Marble.The sales of white marble in kitchens is also quite strong but the problem has been White Carrara is not a great performer in the U.S. 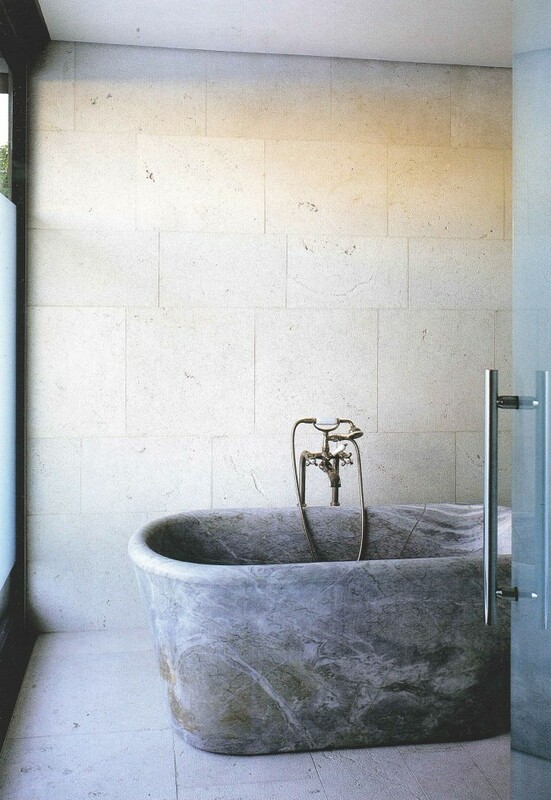 Sales are quite strong for White Carrara but the new trend is the Vermont Danby Marbles. 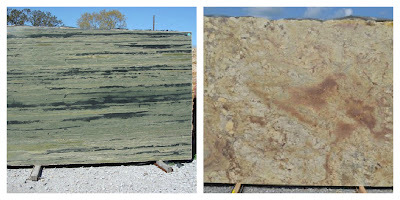 These stones are much better performers and have soft veins of tan and black similar to Calcutta Gold but at a very reasonable price. With softer and warmer looks it has become the next “Thing” in white kitchen counter tops. 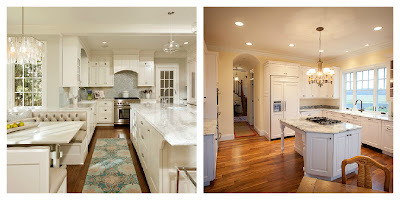 If Marble scares you in a kitchen the look to “Super White” a granite with soft blends of gray and white with varied layers which produces a “dreamy” effect to the looks but performs as most granite’s have done, very well. 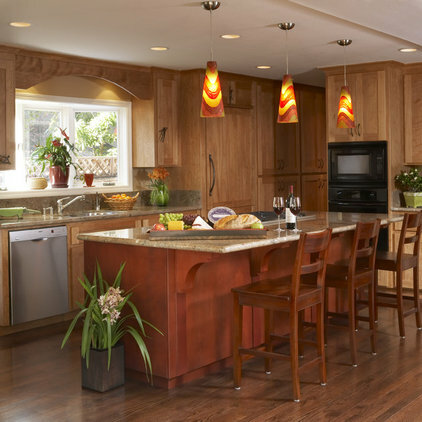 Exotic Colors—While most people have heard the phrase, “Keeping up with the Jone’s,” when it comes to countertops, consumers may want granite, but they may not want the same color, as their neighbor, or someone else they know. 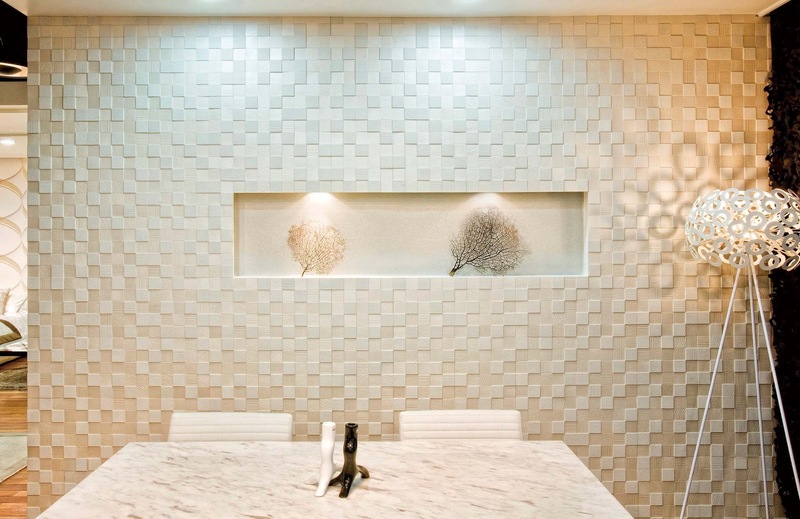 Many consumers are willing to pay a little more for a stone that is unique and speaks to them. Multiple Color Combinations—Some consumers, these days, are mixing and matching colors for their countertops. With the multitude of colors available, some people like variety and are choosing one color for an island, and another color for their perimeter tops. 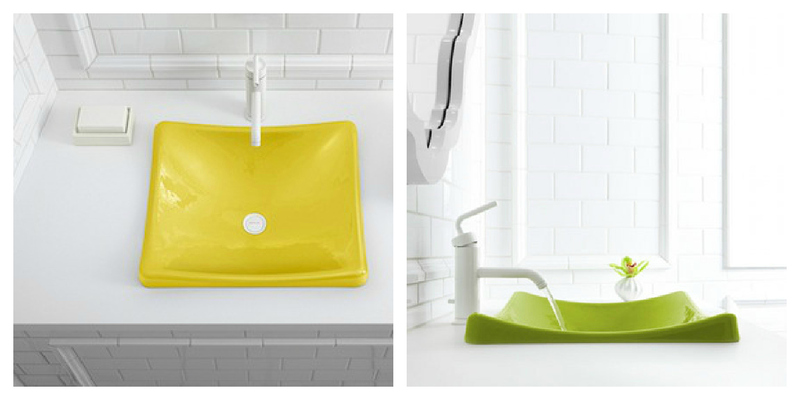 We have seen others that mix it up even more, choosing 3 or more colors, depending on the kitchen layout. 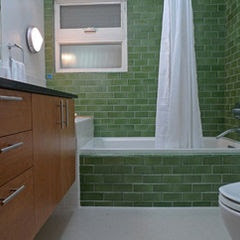 Backsplash Variety—3-1/2″ high backsplash runs are still quite popular, but many consumers are also adding tile. 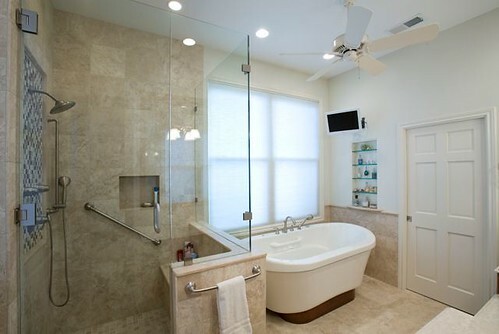 With hundreds of tile options and varieties, this combination makes it easy to tie a variety of colors together with their countertops and other decor.